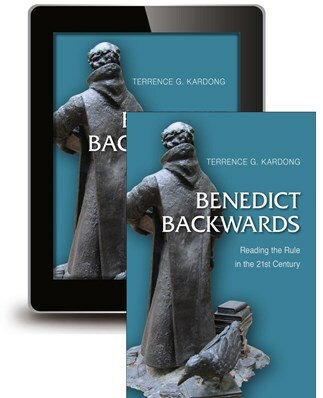 In Benedict Backwards, Terrence Kardong builds the case that the Rule of Benedict is best read "backwards," that is, with emphasis on the last chapters, not the first ones. Benedict starts out dependent on the Rule of the Master, but he ends on a much more self-assured note, revealing more about his own thoughts on matters of monastic life. Kardong shows the final chapters of the Rule are primarily about community, and they provide insight into Benedict's vision for his monks. Terrence G. Kardong is a monk of Assumption Abbey, Richardton, North Dakota. He has been editor of The American Benedictine Review since 1982 and has written many books and articles. His latest research concerns the Irish monks of St. Columban, who were the first transmitters of the Rule of Benedict north of the Alps. His book on that subject, Saint Columban: His Rule, His Life, His Legacy, will be published by Cistercian Studies in 2017. "Oblates who follow Kardong on his exploration through the Rule will see fresh ways to be shaped for Christ's service in their daily lives under the wisdom and guidance of Benedict. By making the final chapters of the Rule of Benedict, with their focus on community, the lens for reading the rest of the Rule, Kardong shows oblates that the Rule is not merely a historic document that looks backwards to another time. Rather, Benedict is a way forward for people in their daily lives to be the face of love through obedience, honor, reverence, and joy in their own communities and relationships." "The subtitle of Terrence Kardong's brief collection of essays, Reading the Rule in the Twenty-First Century, does not mean that the author writes in emoji. It does mean that this thoroughly American Benedictine scholar, like a high-res audio technician, lets the clear tone of Benedict himself stand out from the many other voices that Benedict allowed to coexist in his sixth-century Rule. Kardong has distilled and presented a lifetime of rigorous scholarship in crisp prose—not lacking, though, verbal emoji winks, grimaces, and shrugs." "With his characteristic humor and deep, precise scholarship, Terrence Kardong weaves a fascinating and unique look at the Rule of St. Benedict in Benedict Backwards. He manages to do what one might think is impossible after so many years of Benedictine scholarship: he casts a fresh light on Benedict's Rule that forces one to confront and engage it from a new perspective. Benedict Backwards is both a delight and a challenge to read for twenty-first-century followers of St. Benedict. This is a book that will definitely make a deep impact on Benedictine life in the future." "The chapters of Kardong's book are short and each is dedicated to the exposition of some virtue or lapse of virtue. These topics have universal and timeless significance. Benedict's rule for Christian living in a monastery is equally applicable in many ways to those seeking to live a more spiritual life in the world. The book is recommended for parish libraries and other libraries collecting Benedictine material."